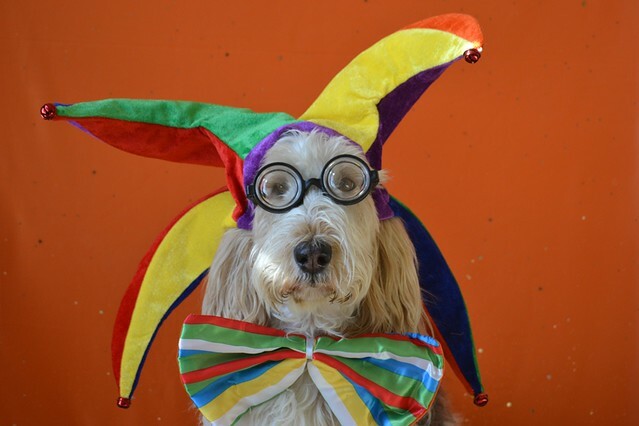 Is Your Dog Ready to Learn Circus Tricks? Before teaching your dog circus tricks, you need to determine if he or she is ready. It’s not a good idea to just rush your dog into learning complicated tricks. He might learn them. But will he really enjoy it? There are several things you should consider before training begins. How well does your dog know basic commands? This is essential to performing circus tricks. If your dog doesn’t even know basic commands, it will be more difficult and confusing to teach circus tricks. Be sure your dog knows the basics very well before starting circus tricks. Basics include commands such as sit, stay, shake, up, down, fetch, drop it, leave it, and more. Does your dog listen on command every time? A dog who follows instructions will be easier to train. Others can still learn tricks but it may take longer to get them down. In order to perform, a dog needs to crave obedience and listen on command each and every time. Otherwise, the performance may not go so well. Practice and positive reinforcement can help your dog master this – and even crave it. Does your dog enjoy performing for you? Observe your dog. Is he or she happy doing tricks for you? If so, this is a good sign going into circus training. Dogs who enjoy performing for their owners may also enjoy performing for an audience. Though this is not always the case, it can be a good starting point for determining how your dog will perform on stage or in a circus ring. Do you have motivational supplies on hand? Treats, a clicker, a favorite toy, or another reward may help motivate your dog to learn tricks. When there is a motivator behind completing a task, a dog is more likely to perform it. For some dogs, just hearing praise from their human is enough. But this won't be the case for all dogs. Be sure you have whatever your dog prefers on hand during all circus training sessions. When you are ready with your dog's motivational tools, your dog will be more ready to learn. How is your dog around large crowds? Does your dog know how to relax in a crowded environment or does this cause stress? Watch your dog for signs of discomfort as well as signs of contentment around large groups of people. If your dog is too nervous or excited, positive training may help. Ultimately, the safety of your dog and people should come before your desire for your dog to perform in a circus. 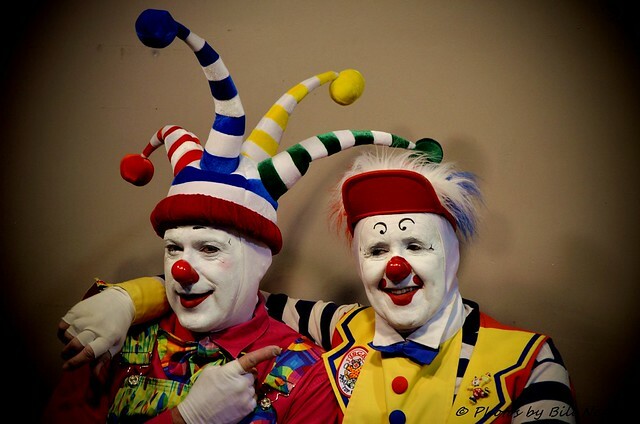 Have you created your clown look and need something to make you stand out? Do you want to be the shiniest of shiny clowns? Perhaps you are just stuck and haven't actually created your look yet. No matter where you are, these fun accessory and style enhancements can help make clowns of all ages shine bright. The hair must be unique. If you really want to shine as a clown, get creative with the hair. To accent the traditional multicolored clown afro, try adding accessories to the hair or jazzing it up with very visible glitter. But the afro is not necessary to being a clown. Try something zany like spiked braids, unruly colorful pigtails, a green mohawk, or anything else that comes to mind. Be sure that whatever style you choose, it fits your personality as a clown. Don't spare the glitter. What makes a person shine more than glitter? Use glitter pencils to accent any areas of the face that you want to stand out. Glitter tears can enhance the mood of a sad clown. Glitter stars anywhere on the face makes happiness features stand out, especially at the corners of the eyes and mouth. But don't limit the glitter to your face! Try glittery fingernails, clothing accents, or full-blown glittery clothing. Glitter on the shoes says you have happy dancing feet. Bigger is better. If your clown persona seems boring, make one or more things bigger than life size. Clown pants and shoes are one area this is prevalent. But try making something else bigger, such as your hair, a hand, or your props. For instance, an extra large umbrella could make for some fun scenes, as well as accent the look. Shiny up and dress up these extra large accents to make them stand out even more. Tiny size it? This has the opposite effect of making things larger than life, but is also valuable in clowning. Wear some of your clothing and accessories too small. Try using a tiny coat in a big rainstorm. Place a teeny top hat atop your head. You may have to glue it to your hair. Shrinking things from their normal size is always good fodder for standing out and can add to the performance in many ways. Umbrellas everywhere! No clown is complete without some sort of umbrella. An umbrella can be used for various gags, whether it is small or large. It also doubles as a great matching (or mismatching) accessory. Try putting a drink umbrella inside your shirt pocket. It can be glued there or it can be left loose for performance reasons. Remove the tops of drink umbrellas and glue them to clothing for a unique accent. Use them as a shade over eyeglasses as well. Parasols are wonderful for acting out fun scenes and can also double or triple as a cane or fashion statement. Get creative and use this multipurpose prop and accessory to its fullest.